These 5 letters to the editor make it easy for you to defend innocent life. Pick a letter that inspires you to write, adapt it to fit your style, and submit your copy to the local newspaper online, using the appropriate "opinion / letters to the editor" section. Important note: News editors want original content. Feel free to borrow the ideas contained in these 5 sample letters, but the letter should be your own, with your original wording and style. It is an irrefutable scientific fact that, at the moment of conception, every new human being represents a genetically distinct, unrepeatable life. To abort [kill] that human being in the process of development, at any stage, is to interfere with God's creative power. The Roe vs. Wade decision that legalized abortion in 1973 is responsible for taking the lives of 58 million masterpieces. How many “Mozarts” were among them? In any decent society, the taking of an innocent life cannot be justified under any circumstances. This is why abortion is wrong and why the defenseless child needs to be protected by law. 2. 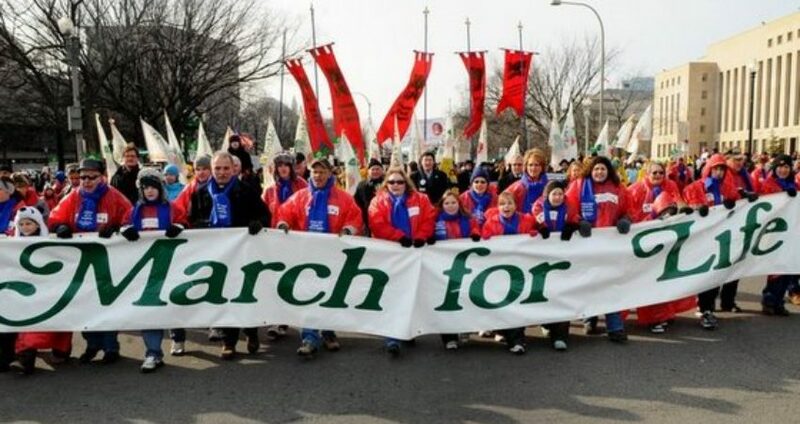 Will God bless a nation that allows abortion? “Thou shall not kill.” The value of this Divine command is reasonable even to the atheist. Additionally, every stable culture in the history of the world has posited it as law in some form. As a weary America struggles through wars, a weak economy, and a spiritual crisis, perhaps we should reassess her moral compass. January 22 marks the anniversary of Roe vs. Wade, the 1973 Supreme Court case that legalized abortion and is responsible for taking over 58 million lives to date. “Life, Liberty, and the Pursuit of Happiness.” These three rights are strongly defended and loved by the American people. In fact, we have fought wars and risked lives to protect them. As we recall the anniversary of Roe vs. Wade, the court case that legalized abortion, we must ask ourselves: What about the rights of the 58 million babies who have been killed since 1973? During the Second World War, America helped put an end to the cruel concentration camps in Europe. Yet today, an even greater, silent holocaust is waged within our very own borders. Every year, over a million babies are aborted. In short, the most fundamental right, that of life, which is the basis of all the others, is being denied to our own people. Some may ask whether the unborn child is really a human. The answer is yes. Science tells us that the unborn baby has a distinct, unchanging, and unrepeatable genetic code, unique in all of history, from the moment of conception. Many say that a woman has the “right” to choose. And what of the baby’s right? Even more, it is illegal in this country to harm the unhatched eggs of an eagle. Why then, is it legal to kill an unborn child, who is more precious than any bird? Should life, liberty, and the pursuit of happiness be denied to our unborn babies? To answer in the affirmative would be highly un-American and simply immoral. Since the beginning of the War on Terror in Iraq and Afghanistan, thousands of American soldiers have been killed. This has been a tragic loss. Another war, however, has taken an even greater amount of American lives – over 58 million to be exact. When did this war start, and where does it take place? It started with the 1973 Roe vs. Wade decision which legalized abortion, and the war is taking place directly on our own soil. Terrorism is a constant threat. Not a day goes by without hearing of the deaths it causes. Perhaps a greater threat than Islamic terrorism, though, is the abortionist’s scalpel. This terror often goes unnoticed, because the screams of the victims are silent. Today, we rightly fear the threat of losing our freedom. But, if we cannot as a nation defend our most basic right, that of life, for our own citizens, how can we ever defend ourselves from the threats against national security? As precious as Americans view freedom, how can we deny that freedom to the future children of our nation, the future that comes from a mother’s womb? Western civilization formed the first hospitals and developed a school of medicine. The key to its fruition, however, is not pure chance, but is based upon the fact that each person, rich or poor, young or old, has the right to life. Yet today, there is a great contradiction: abortion. This contradiction in the practice of Western medicine is responsible for the deaths of over 58 million U.S. children since 1973. For those who doubt whether or not the unborn child is a true human person, science has given us a number of facts. First, the baby’s heart begins beating at twenty days in the womb, with brain waves occurring at 40 days. Secondly, 14 weeks after conception the entire body surface, except the back and the top of the head, are sensitive to pain. What is more, an unborn child can survive outside of the womb at 21 weeks. In a nation where it is illegal to harm eagle eggs, why do we allow for the slaughter of innocent babies, which are more valuable than birds? Let us hope that America will once again be the champion of Western medicine. Let us hope that she will again protect and defend the right to life, from conception until natural death.